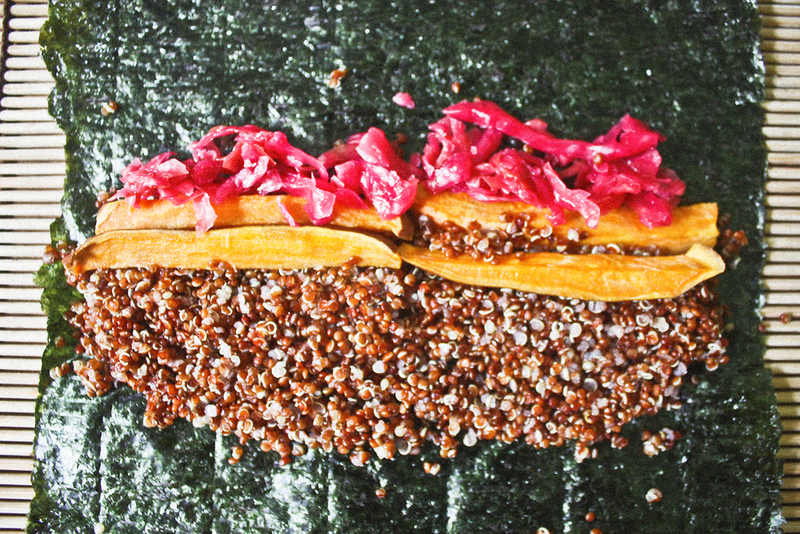 Quinoa sushi is a great alternative to traditional white rice sushi. White rice has a high glycemic index, which can spike your blood sugar and has very little nutritional value. Quinoa works well for sushi rolls - it holds together nicely and has a great texture and delicious nutty flavor. Using quinoa instead of rice is a great way to add some protein and fiber to your favorite veggie rolls! This sushi roll is mostly vegetables - sweet potatoes, homemade purple kraut - with some creamy miso tahini dressing for a little kick. Preheat oven to 400°F. Cut sweet potato into long, ½” thick strips. Toss with EVOO and spread on a baking sheet. Roast for about 15 minutes or until crisp-tender. Remove from oven, cool. Combine quinoa and water in a medium pot with a lid. Bring to a boil, lower heat, and cook for 12-15 minutes or until water is absorbed. Transfer to a large bowl to partially cool. 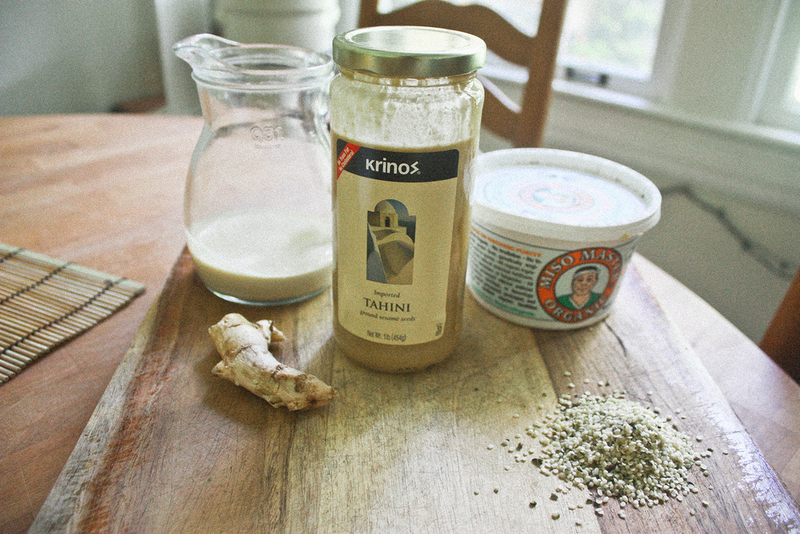 Prepare dressing: all ingredients in a high speed blender or food processor. When ready to roll sushi, have all prepared vegetables, a small dish of water, and the quinoa near your work area. Place a sushi mat on your counter. Top with a sheet of nori, shiny side down, almost to the edge of the mat closest to you. 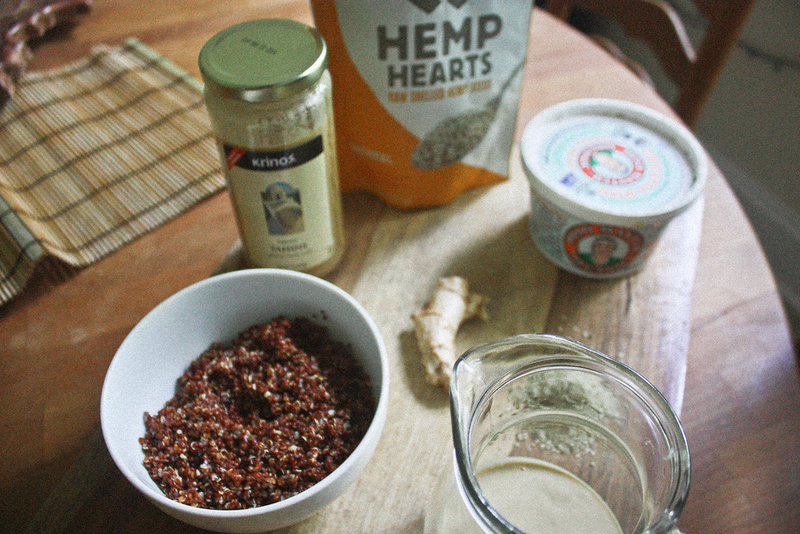 Dip one hand in water and scoop some of the quinoa from the bowl. Spread it evenly in a thin layer on the nori, leaving a small border on the edge farthest edge. Place 2-4 sweet potato strips in the center of the quinoa, parallel to the bottom edge. Arrange a few slices of the other vegetables if you wish along side the sweet potato. We used a homemade kraut. 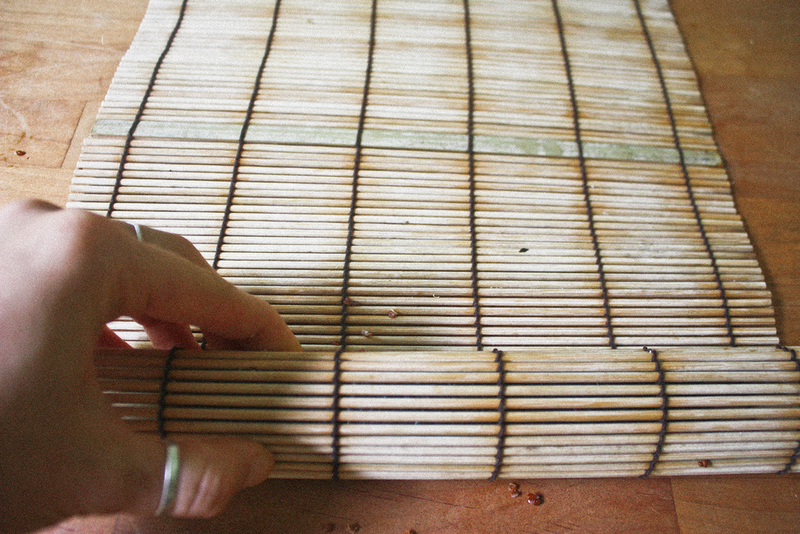 Hold edge of mat with thumbs, lift it along with the filling and roll away from you. Hold the roll and filling firmly, continue to roll with the sushi mat now on top of the roll. Firmly press the roll to tighten it and seal the edge with water. Slide the roll off the mat and cut into individual pieces with a sharp knife. Serve with miso tahini dressing, pickled ginger and avocado.